Yahtzee! now has Jaws! We're going to need a bigger roll... This Jaws 40th Anniversary Edition Yahtzee Game features a Bruce the shark cup and custom dice! 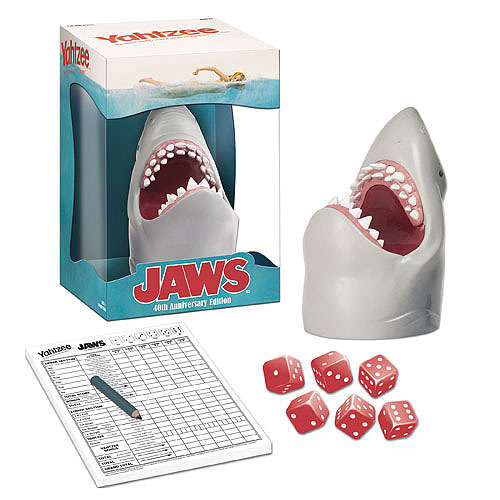 This Jaws-themed version of the popular dice game is fun for all, especially fans of the hit movie, Jaws! For 2 or more players. Ages 14 and up.